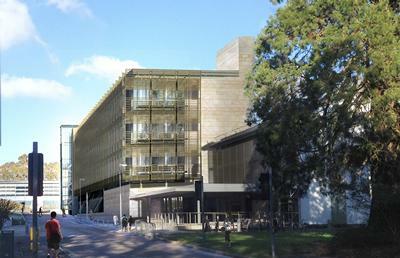 Artists’ impression of the new National Infrastructure Laboratory. The University of Southampton is to play a major role in a new national centre that will grow and transform the UK’s major infrastructure sectors including transport, energy systems, clean water supplies, waste management and flood defences. Southampton is one of 14 universities working in partnership with industry and government as part of the £138m UK Collaboratorium for Research in Infrastructure and Cities network (UKCRIC). This will be expanded over the coming years with more national and international partners, both university and commercial. The network was announced today as part of the Government’s Comprehensive Spending Review and Autumn Statement (page 64 under 2015-16 and 2016-17 key project starts: Construction work on UK Collaboratorium for Research In Infrastructure and Cities hubs). Southampton’s contribution to UKCRIC is a new £36m National Infrastructure Laboratory, based at the University’s Boldrewood Innovation Campus, which is also home to Lloyd’s Register’s Global Technology Centre and further major facilities including a 138-metre towing tank and other advanced fluid dynamics experimental facilities. The Laboratory will house state-of-the-art teaching and research facilities for geomechanics, heavy structures, solid mechanics and infrastructure engineering. The facilities will be used to develop new understandings of the behaviour of large structures and structural components, with an emphasis on infrastructure, rail and maritime engineering. One of the major focuses will be on rail transport, to meet challenges such as improving resilience to the effects of climate change and the increasing demands on the network, through the efficient maintenance and upgrade of existing infrastructure and the cost-effective design and construction of new infrastructure. The University’s current work in this area is supported by the Engineering and Physical Sciences Research Council (EPSRC) through the Programme Grant Track2theFuture, the EU project Shift2Rail and industry partners such as Network Rail, HS1, HS2, National Grid and EDF. Professor William Powrie, Dean of the Faculty of Engineering and the Environment, said: “This significant funding will enable us to grow our world-leading research, teaching and enterprise activities, and to complete the development of our Boldrewood Innovation Campus. 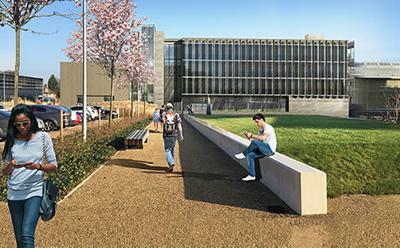 “The addition of the new building will make this a flagship campus for the University and for the region, enabling us to develop the new knowledge needed for meaningful advances at national and international levels in infrastructure engineering and rail transport – both major areas of expertise and specialism for Southampton. Initial research projects will be funded by the EPSRC, Lloyd’s Register and Network Rail together with other infrastructure owners and operators and supply chain companies. 1. A unique feature of this collaborative research programme is the Coordination Node, hosted by UCL's Science Technology Engineering and Public Policy department, which was highly praised in the international peer review. While hosted by UCL, the Node will involve and include representatives from all universities. reduces the number of people killed or seriously injured on the transport network in the UK by up to 950 a year, valued at £330M annually.